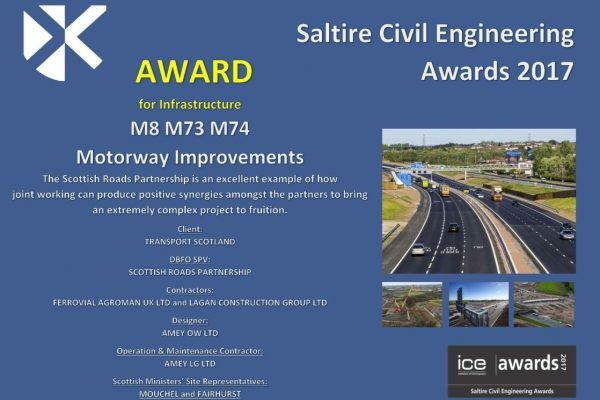 Award from the Institution of Civil Engineers in association with the Saltire Society. 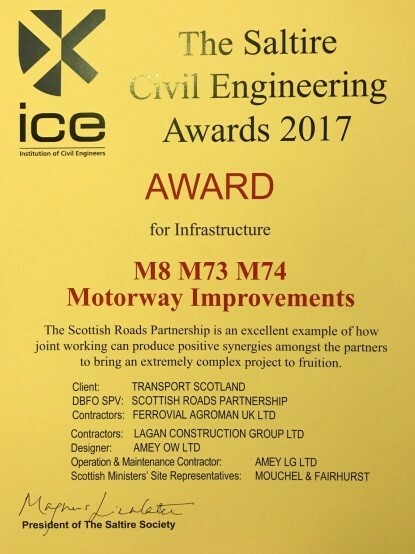 included capacity upgrades to the old A8, M73 and M74. The scheme is now delivering a range of benefits to the people of Scotland, including reduced congestion and emissions, better journey times, improved journey time reliability and, it is expected, increased safety. 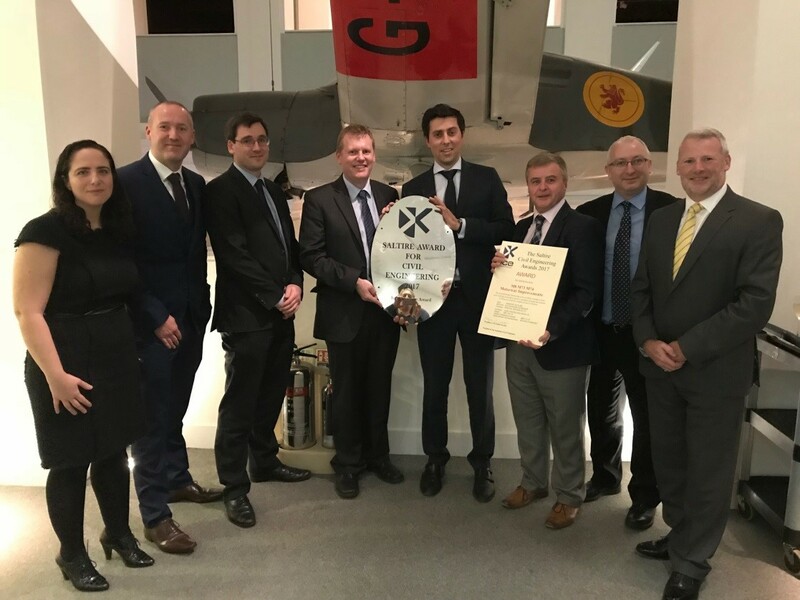 Whilst presented in respect of construction phase activities, the award is testimony to the hard work by all Mouchel Fairhurst JV staff in delivering this scheme from conception in 2003 to completion this year.